T shirts are one of the basic essentials in the men’s wardrobe. T shirts are the most fashionable outerwear that adds extra shine to the personality of the wearer. The are available in different sizes, colors and patterns. There is a constant change in the necklines of t shirts, in the past round necks were in and they are followed by V neck t shirts, besides collared T shirts being always in fashion. In olden days men used to tuck the t shirts but now the t shirts of waist length short tops with slits on both the sides and tank tops are the latest trends. At present t shirts with pastel colors and stripes are in demand. Young boys likes to wear cool sleeveless t shirts. Floral prints which were considered as the feminism prints have now become men’s style too. Retro designs and polo t shirts looks cool and extremely popular among young men. Beer and drinking T shirts are best when some one wants to party with the friends and these are available in two forms, one comes with names of brands of the beer on them and second with some funny quotes related to beer and drinking. These T shirts with funny quotes have been popular choice among youngsters. 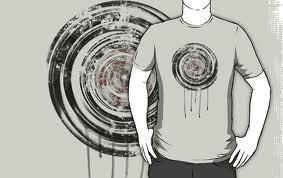 For men it is better to go for the t shirts which are made up of cotton as they are breathable. While buying t shirts it is better to have a pair of trousers that matches the t shirts. While purchasing t shirts fitting is also important and make sure that length of the sleeves and shoulder lines are accurate. It is better to shop online for t shirts because through online shopping the user can choose the t shirts needed from a vast range of designs and colors which may not possible in malls and shops. Prices of t shirts purchased through online are very reasonable.